Madrid appears as a character in numerous books. Cases in point would be works by Benito Pérez Galdós, Valle-Inclán, Hemingway… Literature has also left its mark on the city, as can easily be seen in places such as Plaza de España, with its monument to Cervantes, or the Plaza de Santa Ana, shared by the sculptures of Federico García Lorca and Calderón de la Barca. 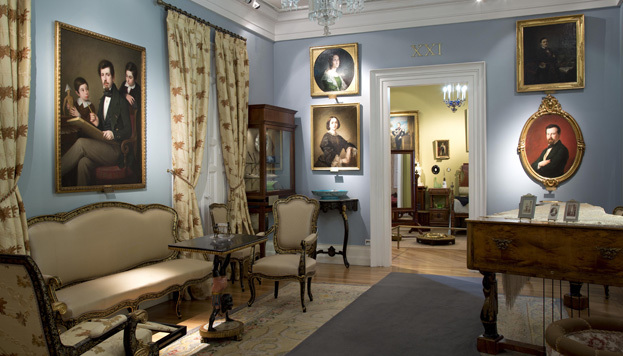 There are also quite a number of literary museums in Madrid. To reach what was once the home of the “Phoenix of Wits” one must delve into the Barrio de las Letras (Literary Quarter), a neighbourhood in which the great masters of the Spanish Golden Age, such as Cervantes, Quevedo or Lope de Vega himself, once lived. Lope de Vega spent the last 25 years of his life in this house, in a street that bears the name of his arch enemy, the author of Don Quixote. Visits are always guided and free of charge, although it is necessary to register in advance (by calling 914 29 92 16 or by email). 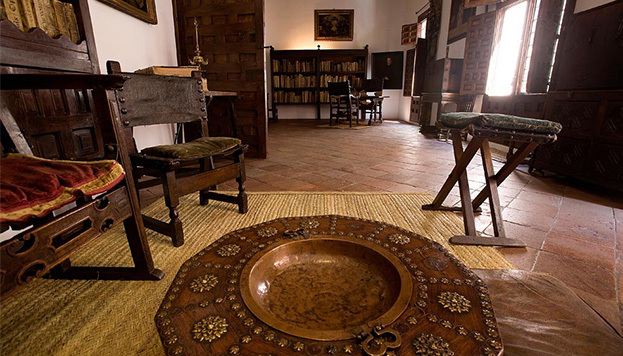 Once inside the house, visitors can see his studio – in which he wrote his mature plays, such as The Dog in the Manger, The Knight from Olmedo, or Lady Simpleton (La Dama Boba), the oratory, the dining room, his bedroom, the kitchen… and his little garden, in which he spent many happy hours. Located in a majestic building constructed in the 19th century by order of Queen Isabella II, the National Library houses within its doors the bibliographic and documentary heritage of Spain. In its interior there is a museum, with a great variety of audio-visual resources that narrate in an enjoyable way the past and present of the institution. 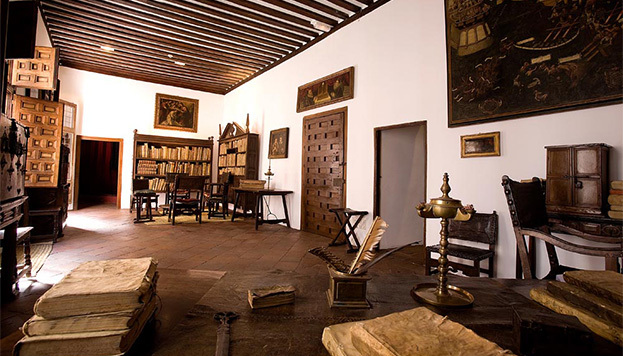 It features several rooms, including one dedicated to Writing and its Media, the Hall of Muses, the repository of the most valuable works which change every three months, a room about the Memory of Knowledge, which reviews the history of knowledge since the appearance of codices to that of the Internet, and the Quixote Room, devoted to the works of Cervantes. 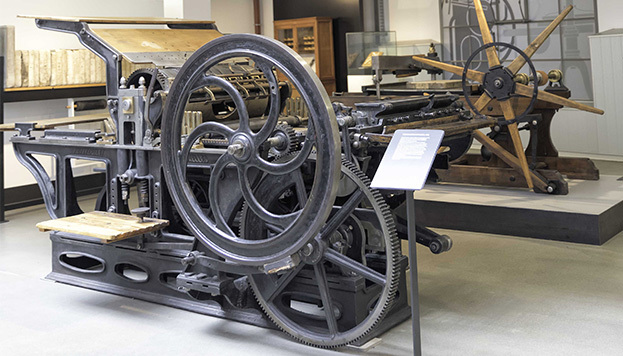 A veritable journey through the history of graphic art, with over 3,000 really surprising works, including such highlights as an exact reproduction of a 16th century printing press, a 1789 rolling press or a 1930 Planeta typography machine. Its objective is to preserve such a necessary asset as artisan printing, hence one of its rooms is dedicated to bookbinding. It may not be entirely dedicated to literature, but could there be anything more literary than the Romantic Movement? The museum is located in a former palace, which reproduces in its halls the ambiences and lifestyles of the wealthy bourgeoisie of the 19th century. 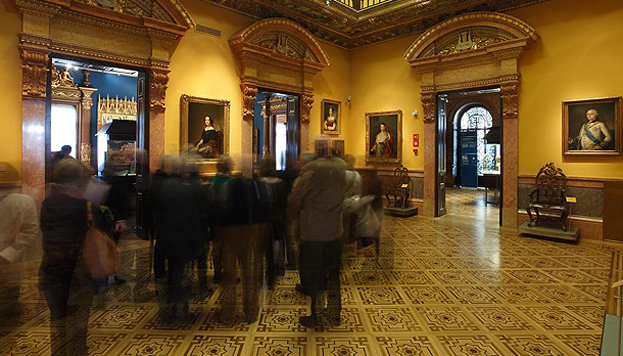 Strolling through the Ballroom, the Dining Room or the private rooms of the lords and ladies of the house, the visitor can learn about the main protagonists of Spanish Romanticism, including writer and journalist Mariano José de Larra. The museum exhibits one of his frock coats, the shirt he was wearing on the day of his death and two small pistols, one of which was supposedly used by Larra to take his own life. Appropriately perhaps, the Satire of Romantic Suicide, by Leonardo Alenza, is one of the paintings that can be admired in the museum. Considered the work that best reflects the idea of the Romantic era, it unswervingly confronts tragedy, drama and everything terrible. The Palace of Parque Florido in which the museum is located, once belonged to José Lázaro Galdiano, who, in addition to being a collector, was the editor of Modern Spain. Around the end of the 19th century, he published texts by Pardo Bazán, Unamuno, Galdós and also by Dostoevsky, Tolstoy and Flaubert, some of which had been translated into Spanish for the first time. In his house, visitors can contemplate jewellery, weapons, paintings, furniture and books that he acquired throughout his life. The Library of the Lázaro Galdiano Foundation is home to such exceptional treasures as books of hours, several Persian and Mongolian miniatures and a 17th century manuscript of Quevedo’s The Swindler. Among the most unique documents that it preserves are letters written by Lope de Vega and Francisco de Goya. 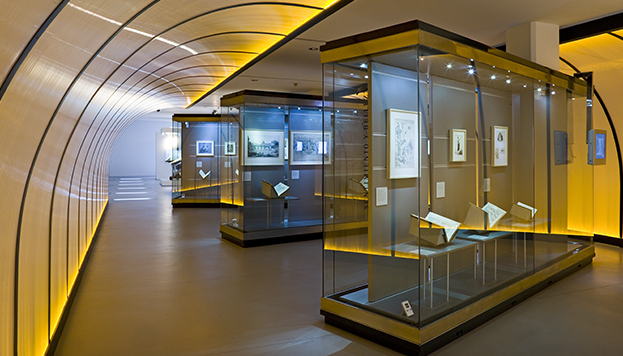 Although permanent exhibitions are not possible due to the fragility of the paper, the Museum does organise regular exhibitions in which its collection is put on display. Among its paintings, it is worth noting the portrait that Federico Madrazo painted for Gertrudis Gómez de Avellaneda, a Romantic writer and poet. 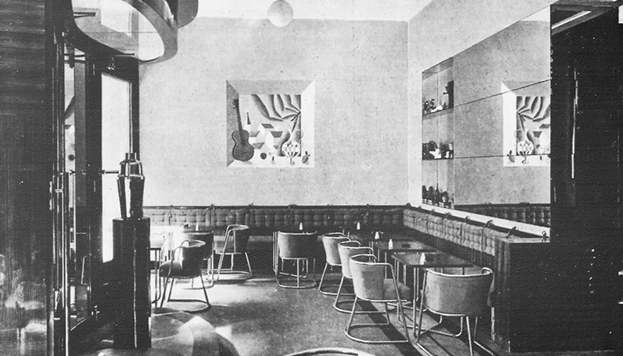 Last but not least… how about a cocktail in Museo Chicote? That name came about because its founder, Perico Chicote, ended up with a collection of over 25,000 bottles of spirits from all over the world, which he kept in the basement. People were able to visit them free of charge upon request. Many of Hollywood’s brightest stars knocked back a drink (or two) at the bar of the world’s most famous barman, including Ava Gardner, Sofia Loren, Orson Wells and Laurence Olivier. It was also a popular haunt among writers like Hemingway, who used to write his war chronicles here, and Miguel Mihura, who said: “I was born in Madrid because it was as close as I could get to Chicote”.